I’ve written before about my investment in the film Once, its soundtrack, and the principle talent Marketa Irglova and Glen Hansard. 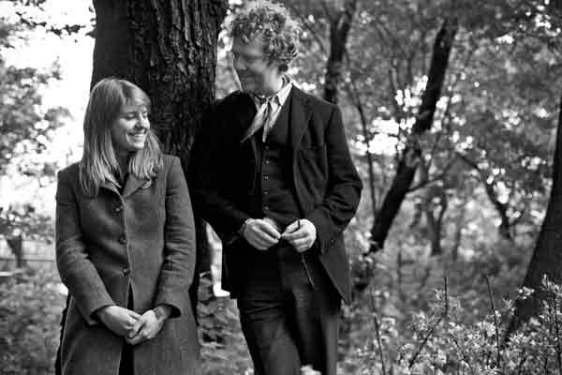 I said it there, and I remain convinced that The Swell Season, the documentary following the pair behind Once, will be toughly emotional to watch, at least for people like me that got so wrapped up in the characters and their real life counterparts. It’s one I’m still very excited to see, despite my personal anxiousness, so a new trailer for the film popping up for the film is exciting, even if it’s very short. Can I say that I love that it’s in black & white? Considering this will inherently be an addendum to Once, I kind of love that the fairytale version of the story will be in color and the real-life companion will be monochrome. That’s a nice subtle way of adding to the story without stripping the narrative of its magic. Perhaps that’s reading too much into a choice that was likely made as much to unify all the different crappy video sources as anything, but it makes sense to me. Read more at the website. Trailer via JoBlo.